Situated on a large wooded half acre, corner lot in Nichols Hills is this elegant and timeless home! From the spacious foyer with 9 foot ceilings, enter the living room with a vaulted ceiling and wall of windows overlooking the beautiful backyard. The home features lovely wood floors and crown molding, 2 living areas each with their own fireplace, an oversized dining room, butler's pantry and wet bar. Each bedroom has its own bathroom (original marble vanities in each) and newer carpet in each bedroom. The master bedroom has a his and hers bathroom and individual closets. The second living could easily be converted into a study or 4th bedroom. There is adequate attic space to add a 4th bedroom or playroom. The oversized 2 car garage might accommodate a third small car. The storage in the house is unbelievable! The extensively landscaped backyard resembles an English garden and large enough for a pool. 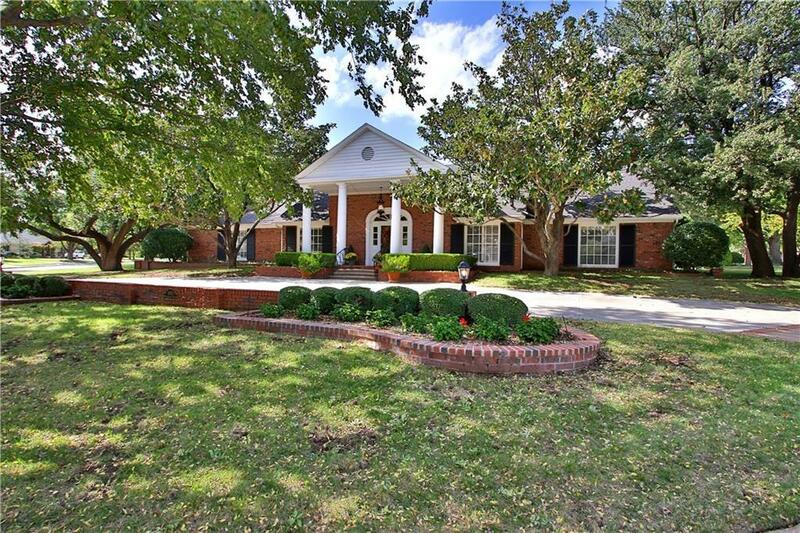 Rarely do you see such an impeccably maintained and welcoming Nichols Hills home!